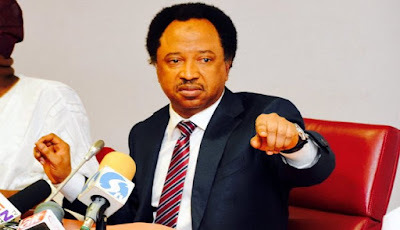 Senator Shehu Sani spoke yesterday on why he lifted the lid on lawmakers’ pay. He said he did it to burnish the image of senators. Sani (Kaduna Central) stirred up a hornet’s nest when he unfolded the N750,000 monthly salary and N13.5million monthly running cost received by senators. The Senate defended the pay as “nothing new”, adding that Sani only revealed what had been in existence. But many Nigerians and civil society groups have been angry at what they consider to be an outrageous pay. Speaking in an interview programme aired yesterday on an Ibadan-based radio station, Fresh FM, “Political Circuit”, Sani, who ran a civil rights group before his election into the senate in 2015, said he saw the need to break the culture of secrecy surrounding the activities of the National Assembly because it had given the parliament a bad name, despite being peopled by successful professionals and businessmen. He said: “The National Assembly is made up of distinguished personalities – doctors, lawyers, engineers, academics and all who have made it in life. But because of this culture of secrecy and silence, people who found themselves in the National Assembly are criminalised and stigmatised. “The dome of the National Assembly is being seen to house people of questionable character and integrity. So, what I did was to rescue the honour and credibility of the parliament by removing the veil of secrecy to bring it once and for all to an end. “It has been 19 years of civil administration and it has been 19 years of secrecy, of people not wanting to speak out. “We have reached a point where people speculate and say so many bad things about the National Assembly. You see all sorts of figures of what senators are collecting. Some say N50 million, some speculate N100 million. But whatever people say, naturally, others will believe because there is no counter information, no truth coming from the other side. “So, I said, ‘I know it is painful, I know that I will lose friends and colleagues within the very establishment that I serve’. But I need to speak because I was part of those who fought and struggled for the restoration of this democracy. Sani said he pointed out early that the money was huge but that the parliament did nothing about it, hence he continued to collect it along with his colleagues. The senator said following his revelation, he expected Nigerians to ask questions about what members of the executive, judiciary and state lawmakers were earning. “Now that Nigerians know what the senators are earning, it is time for them to also ask what is happening in the Presidency, the Judiciary and the other arm of government. “Since I have come out to speak, we should also ask people to ask the members of their houses of assembly who also collect this money to speak. I know things are not going to be easy because when I made the disclosure, there was explosion, even right in my own house. “I will appeal to Nigerians to now shift focus to the governors, the ministers, those in the Presidency, the SGF, the Chief of Staff to the President, and NNPC GMD, to ask them to say publicly what they earn monthly."